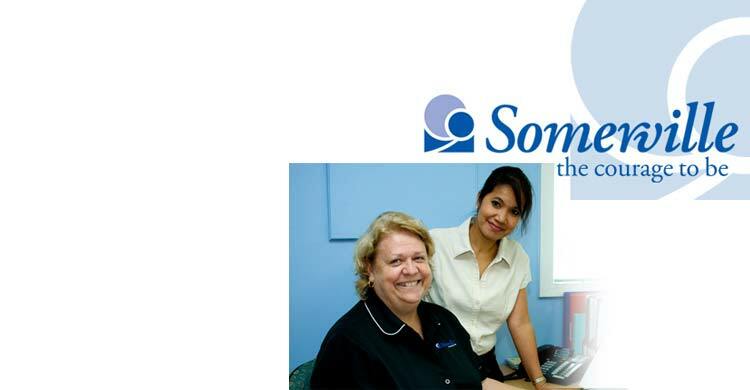 Somerville Community Services Inc is a non-government, not for profit, youth, family and community welfare organisation indigenous to the Northern Territory. We maintain strong constitutional links with the Uniting Church in Australia but we are governed by an independent and professional Board of Directors, ensuring that the Agency has the capacity to respond to the needs of people. Somerville recognises that being disadvantaged in a modern Western society is a condition relative to general living standards. We give priority to advocacy and improving the resources of people who are uninformed or ill-informed about community services and opportunities which may improve their circumstances. Disability Services aims to provide high quality supported accommodation to people with severe to profound disabilities. There is a focus within our team to look beyond standard practice to provide innovative support that targets person centred needs. Somerville manages eleven (11) supported accommodation homes located in Darwin, Howard Springs and Katherine. We support people who have physical disabilities, intellectual disabilities, autism, & developmental disabilities or acquired brain injury.Each home has a Coordinator & a team of seven staff. The Coordinator is responsible for the day to day operation of the home.Program Managers have individual management responsibility for the programmatic aspects of the supported accommodation homes. Click here to keep up to date with our news. For more information, contact Graham Franklin on 8920 4100 or view and download our free Wills and Bequests Guide.